EXCELLENT news. 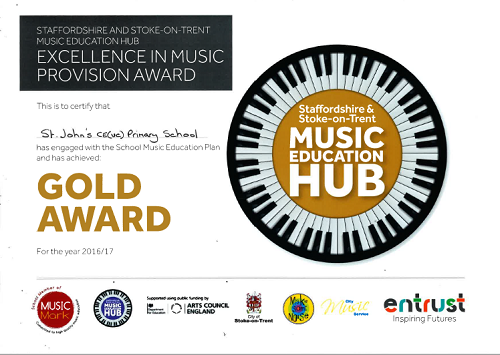 St John's has been given The Excellence in Music Provision GOLD Award. This is a remarkable achievement and is down to the hard work of all pupils and staff and the outstanding support from Mrs Higton and our governors. Many thanks to everyone concerned. Well done St John's!